Algerian Prime Minister Ahmed Ouyahia was one of the first to speak at the Nepad orientation committee meeting on the sidelines of the recent African Union (AU) summit. He said that although his country supports the AU reforms proposed by Rwandan President Paul Kagame, Algeria is against scrapping Nepad. Algeria was one of the founding members of Nepad. He’s right. In the heady days of the AU’s creation, Nepad and the African Peer Review Mechanism (APRM) represented a radical shift from the Organisation of African Unity (OAU). Both Nepad and the APRM are voluntary organisations. Former South African president Thabo Mbeki and others had so little confidence in the OAU, that they adopted a two-speed approach, hoping that large states would eventually pull others along. Things didn’t quite turn out as planned, mainly because once Mbeki stepped down as president, Nepad lost its founder and advocate. And without its own funds, Nepad tried to raise money from business people who were supposedly eager to benefit from the organisation’s continental network. Nepad’s operational costs, according to AU documents, are just over US$10 million annually, excluding programmes. So despite pleas by the likes of Ouyahia, there is little proof that these huge sums have really been worth it. The Nepad Agency, housed near Johannesburg, produces interesting reports and conferences on pan-African issues like agriculture, health, education and infrastructure. It has introduced innovative data tools, demonstrated by Nepad CEO Ibrahim Mayaki at the AU summit. But it’s unclear how this differs from what the United Nations Economic Commission for Africa or the African Development Bank can do – both with much more money and expertise than Nepad. Uneasiness over Nepad’s role crept in several years ago, leading to its transition into the Nepad Agency. More recently, there’s been an attempt to align it to Agenda 2063 – Africa’s blueprint for peace and prosperity. Reforming Nepad into a development agency would mean scrapping the top-heavy structure, led by a head of state. The agency would report to the AU Commission and AU summits, like other AU structures. For now, it looks as if the new development agency will remain in Johannesburg – a good location for a business-orientated venture. According to one high-level AU official to be seconded to the agency, the aim is to channel funding from donors, members states and the private sector into development projects. Heated discussions in Addis Ababa didn’t produce a final decision on Nepad’s future, with the outcome postponed to the next AU summit in Mauritania in June/July this year. Meanwhile the debate around Nepad has raised deep-seated rifts concerning the overall reform of the AU. The Southern African Development Community (SADC), currently chaired by South Africa, complained to AU Commission Chairperson Moussa Faki Mahamat that decision making on AU reform didn’t follow procedures in the AU’s Constitutive Act. SADC wants more consultation and some of its concerns have already been addressed. Kagame – often accused by AU delegates of trying to impose an authoritarian governance style on the AU – is impatient to move things forward. He has surrounded himself with a team of experts and business people, together with a ‘reform implementation team’ in Mahamat’s office. There are strong signs that the reforms – on Nepad and other AU issues – are going ahead regardless of the objections from SADC and others. Senegalese President Macky Sall just finished his term as head of Nepad’s orientation committee and the draft AU summit decisions make no mention of his replacement. This could mean the structure is already being streamlined. This is different from the African Peer Review Mechanism. Chad’s President Idriss Déby will replace Kenya’s President Uhuru Kenyatta as leader of the APRM forum of heads of state. This is good for those who want to keep the APRM alive, but Dèby is probably not best placed to champion an organisation aimed at good governance in Africa. The APRM’s CEO Eddy Maloka seems to have done a better job than Nepad has of marketing the organisation, also based in South Africa. Plans are afoot to position the APRM as a ‘conflict prevention’ tool – the latest buzzword in UN and AU circles. This is a long shot though, given that some APRM reports have taken up to seven years to be released, long after any brewing conflict could be prevented. Nevertheless, various options are being considered, including short-term reviews on burning issues. The APRM will also have to harmonise its conflict prevention work with that of the AU’s early warning unit. So, while obstacles remain and the concerns of some African heavyweights have still not been addressed, the reform of Nepad and the AU is clearly going ahead. 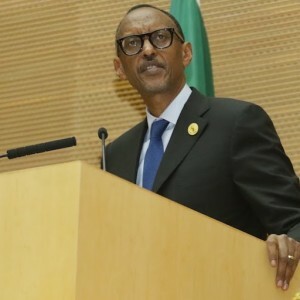 Critics have to admit that Kagame and his team are the only ones with new ideas for a continental organisation that wants to change but doesn’t know how to proceed. At this stage, the reformists are in the lead in the battle of ideas over the future of the AU.